Our highly-regarded Chief of Staff Boot Camp® faculty has considerable experience and expertise addressing the many challenges facing healthcare executives and physician leaders. Many faculty members are also available for on-site presentations and coaching through our Speaker’s Bureau. 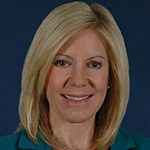 is a former Delta airline pilot and anesthesiologist, who currently serves as Chief Patient Safety Officer for Northeast Georgia Health System (NGHS). His airline experience provides a unique perspective to the healthcare industry regarding Safety, and at NGHS he is creating a system where patient safety is a core value. Accident analysis became the window through which Dr. Appel would develop a deep understanding of what it is like to pilot in an airline environment. His immersion in aviation further galvanized his conviction that the worldwide healthcare system is ready for major safety improvements. is a partner in the Los Angeles office of Arent Fox LLP, and a member of the health care practice group. Her clients include hospitals, health systems, long-term care facilities, medical groups, and durable medical equipment suppliers. 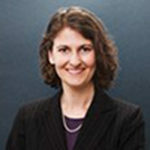 She regularly advises health care organizations on peer review matters, practitioner credentialing, disciplinary hearings, state licensing, Medicare certification, Joint Commission accreditation, medical staff bylaws, EMTALA, governing body bylaws, and consent and confidentiality. Connect on LinkedIn. is the past President and CEO of The University of Tennessee Medical Center, a 581 bed teaching hospital and regional quaternary referral center. 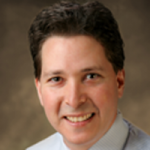 He is currently President and CEO of Quorum Health Resources in Brentwood, Tennessee. 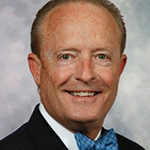 Mr. Bilbrey is a member of the American College of Healthcare Executives and Founding Member of the Institute for Healthcare Executives and Suppliers. Connect on LinkedIn. 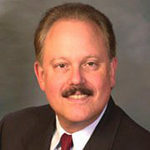 has served as Chief Executive Officer of Centinela Hospital Medical Center since 2010. She has been instrumental in assisting Centinela acheive quality distinctions, including awards in 2010 – 12 and again in 2015. 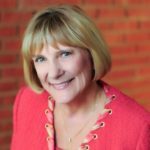 Linda was awarded Hospital CEO of the Year in 2016 by LA Business Journal. She completed her RN studies in San Bernadino, CA and earned her Juris Doctor from Thomas Jefferson School of Law. She is a sought-after and accomplished educator of physicians, nurses and other medical staff in the constantly evolving world of healthcare. Connect on LinkedIn. is a partner in the national law firm of Arent Fox LLP, based in the Los Angeles office. He is practice group leader of the firm’s Health Care department. He advises hospitals, health systems, and medical groups in business, regulatory and medico-legal matters. His practice includes the design and implementation of compliance programs, practitioner credentialing, peer review, disciplinary hearings, Medicare certification, and licensing and accreditation issues. He is also a nationally recognized expert on EMTALA. Connect on LinkedIn. has 15+ years of experience developing leadership programs for health-care organizations. Brent spearheaded a leadership development program for the American Urological Association to prepare young doctors to assume leadership roles. He incorporated a mentoring model that utilized knowledge from past and current leaders. 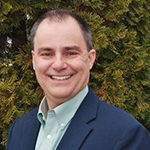 As VP of Constituent Organization Development for the American Academy of Physician Assistants, Brent facilitated leadership programs for state and specialty PA organizations. Brent is a Certified Association Executive and holds the US Chamber of Commerce Institute of Organization Management certification. Connect on LinkedIn. is Chief Financial Officer at Kootenai Health in Coeur d’Alene, Idaho. 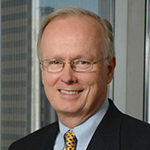 In the past, he has provided strategic, operating, and finance leadership for intense turnarounds in hospitals, healthcare systems, biotech and life sciences, to U.S. and international companies. Rapidly integrating as CEO, COO, or CFO, his background in medical research and expert communication drives critical organizational transformation for dramatic improvement in profitability and clinical quality. Connect on LinkedIn. 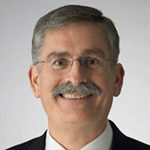 is a Certified Physician Executive and general surgeon, who currently serves as Senior Vice President and Chief Medical Officer of Mercy Health Partners – Southwest Ohio. He is a Retired Major General in the USAF; former Deputy Surgeon General, USAF; former Deputy Assistant Secretary of Defense, Health Affairs; Past President of the American College of Physician Executives; past member of the Board of Governor’s, American College of Surgeons; and a member of Leadership Cincinnati XXIX. is the President and CEO of The Institute for Medical Leadership®. For over sixteen years, the Institute has been conducting organizational assessments, physician leadership development programs, executive and physician coaching, and strategic transformation retreats for numerous hospitals and healthcare systems, academic medical centers, medical groups, and medical associations throughout the United States. Connect on LinkedIn. is a partner in the national law firm of McDermott Will & Emery, LLP in the Los Angeles office. He is a member of their Health Department and co-chairs its national Managed Care Affinity Group. He provides legal services to the nation’s leading health care companies, including large hospital systems and hospital boards, as well as health plans, large medical groups, and other health care companies. 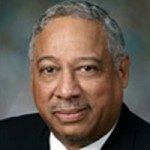 He has lectured on timely health care legal issues, and authored numerous chapters and articles. He has been recognized as one of the leading health care lawyers in the United States, most recently in “The Best Lawyers in America” and “Super Lawyers”. Connect on LinkedIn.